Seeing a child who is feeling carefree and happy is a delightful experience for the parent as well as the child. But many children struggle with emotional or behavioral issues at one time or another. As a therapist with more than 25 years of experience, I understand how a child’s emotional and/or behavior challenges can impact their personal, family and school lives. Often a child’s honest attempts to cope with difficult events and situations create yet another set of problems to solve. I am a Licensed Clinical Social Worker educated at the University of Texas at Arlington and have worked with children and families in school, agency, private and military settings. I am passionate about helping children and their family members experience less stress and more success in their lives, whether the stress is due to a child having experienced loss or trauma, adjusting to a family change, being bullied at school or having difficulty learning, following rules or making or keeping friends, having ADHD, depression, anxiety or other mental health and/or developmental concerns. My approach is client-centered – directed by the child/family’s needs and learning/ communication styles – and includes play therapy, cognitive behavioral therapy, short-term solution-focused counseling, behavior and family therapy, trauma/grief and loss counseling, parenting support (based on Love and Logic strategies) and animal-assisted counseling (upon request with my certified guinea pig Pet Partner, Wilson)*. 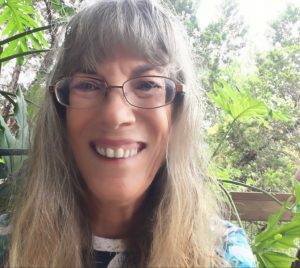 Equally important, I offer an empathic, accepting and creative presence to the therapy relationship, and I strive to truly view the child’s world as he/she sees it in order to best help each child see themselves as uniquely lovable and capable human beings.